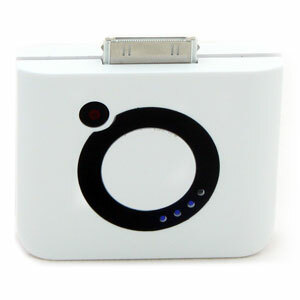 The Smart Charger is a rechargeable power pack for your iPhone or iPod. Get up to 72 hours extra standby time, up to 9 hours talk time, or up to 23 hours extra music playback from a single full charge. Everyone has seen these before i’m sure, but this portable iPhone battery booster looks neat and is CHEAP! Handy to chuck in your bag for emergency power.